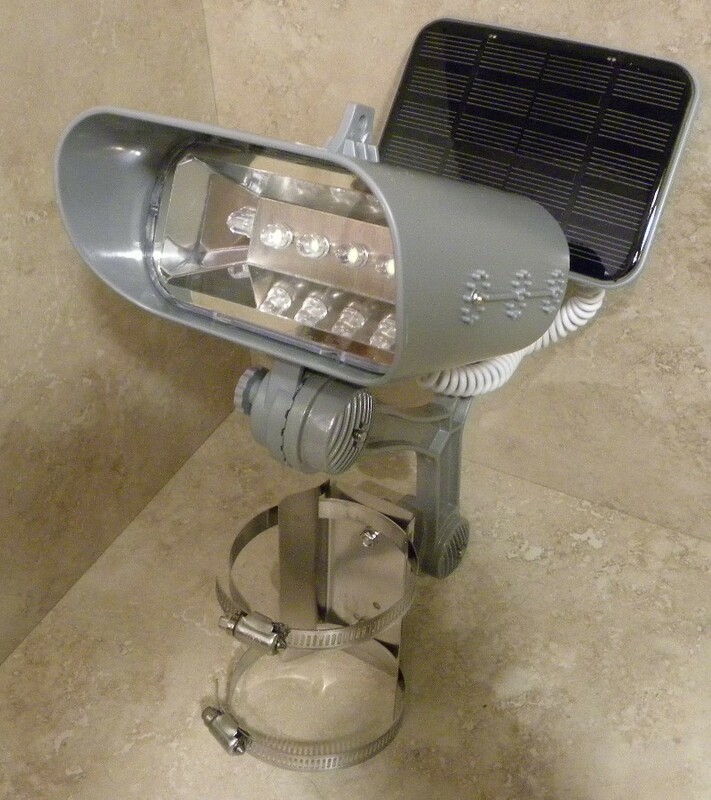 This is the best solar light for residential flagpoles we've seen ! Attaches to the flagpole below the flag using stainless steel straps (provided). 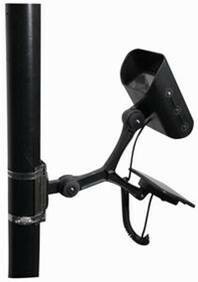 The light and solar panel are adjustable and waterproof. Four 0.5 watt white LEDs (1 watt total power) cast a broad beam that illuminates flags as large as 4 ft x 6 ft on flagpoles up to at least 25 ft high even if the light is mounted low on the pole. For telescoping pole, mount near the top of the lowest section. Monocrystal solar panel: 5 volt/320 milli-amp. Battery: Three 1.2 volt AA 1500 milli-amp-hours nickel-metal hydride rechargeable batteries included. Plastic head and die-cast; aluminum Y frame with stainless steel straps. Light: 6 1/4 in X 3 in. Solar panel: 5 1/2 in X 4 in. 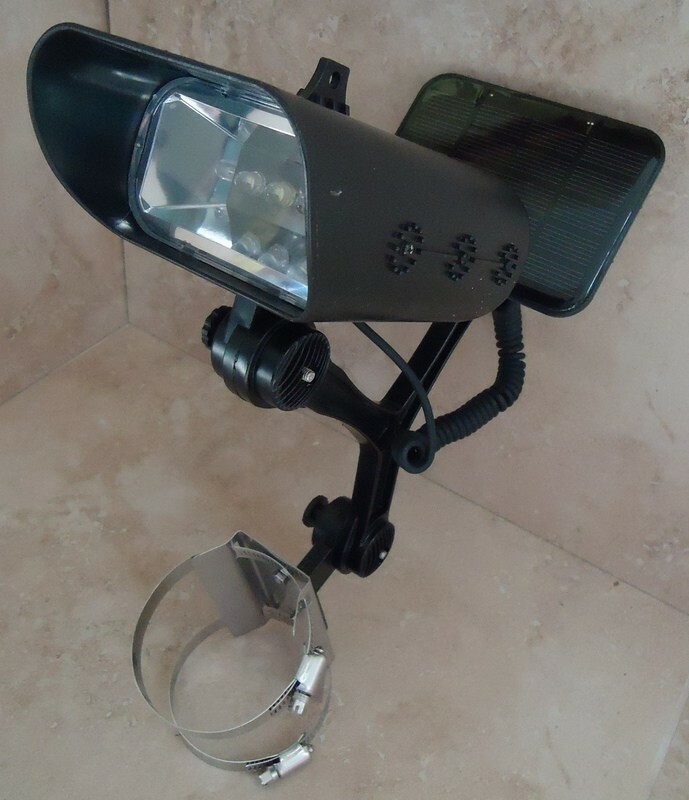 As with any solar light, light intensity and duration depends on weather conditions. Available in black, silver-gray or white.